Shakespeare in the Parking Lot is performing Titus Andronicus at 913 Pacific Ave. through Nov. 14. “Titus Andronicus has inspired all the horror movies now in existence,” says SITPL founder Kristie Worthey, with gleeful enthusiasm. It contains “every element used in every horror film.” SITPL puts a modern twist on the blood-and-guts classic with the use of digital imagery, and some of the action is delivered in the form of broadcast news. The group had a narrow window of opportunity in which to perform the play at 913 Pacific Ave., and prepared for it in record time: “We basically did it in Shakespeare’s style, because he would hand actors the script and in two weeks they would turn it around.” Order tickets at www.sitpl.org. 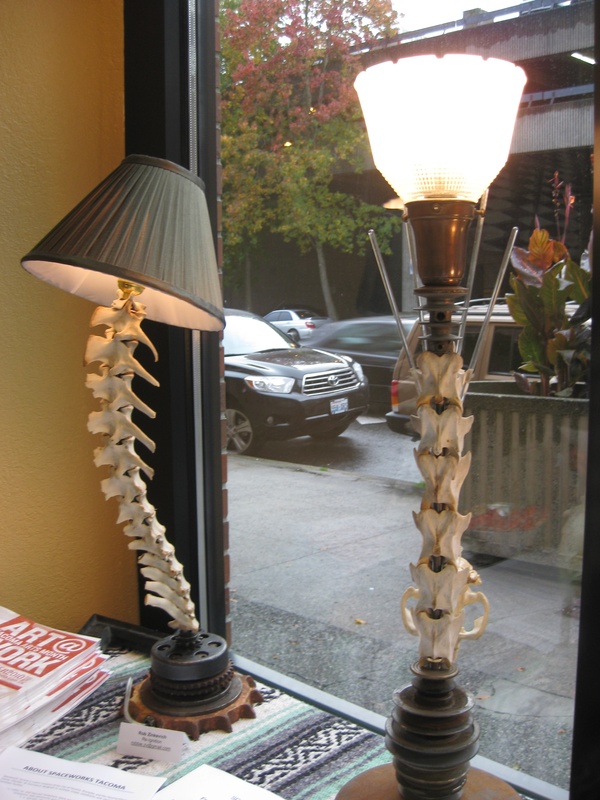 Inside the performance space, don’t miss Rob Zinkevich‘s eerily elegant bone lamps, made out of real animal vertebrae.